According to a recent Genpact study, accounts receivable (AR) performance has been deteriorating for two-thirds of America’s largest companies. As a result, over $1 trillion in working capital is locked up—about 7% of overall revenue. At the same time, days-to-pay (the time it takes to convert receivables into cash) has risen by an average of 10%. In other words, finance teams are struggling to keep up more than ever before. Speeding up AR, however, is a challenging task. Not only is AR incredibly complex on its own, but it’s also intertwined with a lot of other processes. One of these is order-to-cash (O2C), which is a catch-all term for the process of fulfilling, invoicing, and delivering goods or services. Though order-to-cash looks slightly different at every organization, its potential to affect other operations is the same. Many departments and teams—from supply chain management to inventory and labor—need up-to-the-minute O2C information in order to function day-to-day. In fact, an IBM study demonstrated that companies who employ O2C best practices are 81% more effective at order management than those who don’t. On a macro level, optimizing O2C is especially crucial because it impacts the organization’s cash flow. Delayed invoicing or slow accounts receivable processes can make it harder for other teams like accounts payable, payroll, and all other functions that rely on liquidity. O2C can define an organization’s success—or destroy it. But there’s also a bigger problem: in 2019, finance teams are still largely underserved and unrecognized, especially at digitally-focused companies. They’re seen as back-office drones—not innovators. “These organizations are very top line driven, so they tend to disregard what the finance team does,” says Jenny Sohn, a CFO with 20+ years of experience at companies like Evernote, Goldman Sachs, and now Workato. In reality, however, the finance team is one of the most powerful because they sit on a wealth of data needed to make strategic decisions about growth. They’re also responsible for everyday tasks like invoice creation that may seem rote—but are actually crucial to the organization’s health. “Just like any other housekeeping procedures, if things are going well, nobody notices. But take that team out of the equation, and everything comes to a screeching halt. Things don’t get done,” says Sohn. Despite seeing finance as a primarily back-office function, it’s not uncommon for digitally-focused companies to also expect them to stay ahead of the curve technologically. “Ironically, these tech-forward organizations are also the early adopters of new technology. So ordinarily, they may have the attitude of ‘Payroll? Who cares about payroll?’ But once a tool like Gusto or Bill.com comes out, everyone signs up,” she continues. This can exacerbate the problems of fragmented tech within the finance department—and it’s why business systems professionals can be invaluable when it comes to making O2C more efficient. In order to operationalize an efficient O2C process, business systems leaders must consider how a wide range of apps fit together. These include hub apps (ERPs like NetSuite and SAP), CPQ tools (such as Coupa), eCommerce platforms (like Magento and Shopify), and CRMs (such as Salesforce). 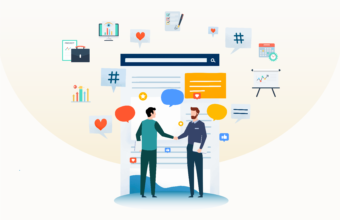 To sell a product, for example, available-to-promise information has to be synced between the company’s inventory management tool and its eCommerce platform. 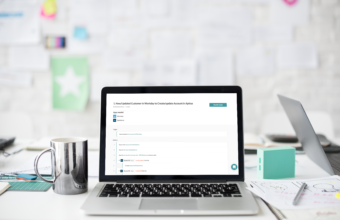 Invoices need to be associated with the correct accounts in the CRM, and all sales need to be logged correctly in the company’s financial hub. Pricing team. This team needs in-depth knowledge about how they’ll price a product. They must consider a product with a cradle to grave approach: How are new products introduced? How will discounting work with new sales, renewals, partners? When they sunset a product, what happens to orders that are up for renewal? Sales team. What are their selling strategies? Is there an approval process for discounts and price adjustments? How does the sales team present the quote to the customer—manually or through a dedicated CPQ tool? When are commissions paid? Finance team. What are the rules around the booking and recognition of sales? Is it net 30/60/90? Do they bill monthly, yearly, upfront? How does the finance team recognize revenue over a given period of time? In short, O2C isn’t just about generating invoices and adding them to the right subledger. It touches many other business-critical processes that span a variety of teams. Because they sit between IT and lines-of-business teams like these, systems professionals are strategically placed to help reimagine O2C from the ground up. They have a broad overview of which apps and tools are already in place and an understanding of what these teams need from those tools—so they’re perfectly situated to dream up creative solutions. Operationalizing O2C at scale requires an unrealistic amount of manual work, so most companies already have some level of integration in place. But because the processes required for O2C go beyond simply moving data, these challenges can’t be solved through integration alone. To be truly efficient, O2C requires end-to-end process automation. 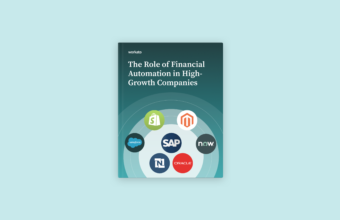 Ultimately, automation is the way forward for financial teams as their workload continues to grow.